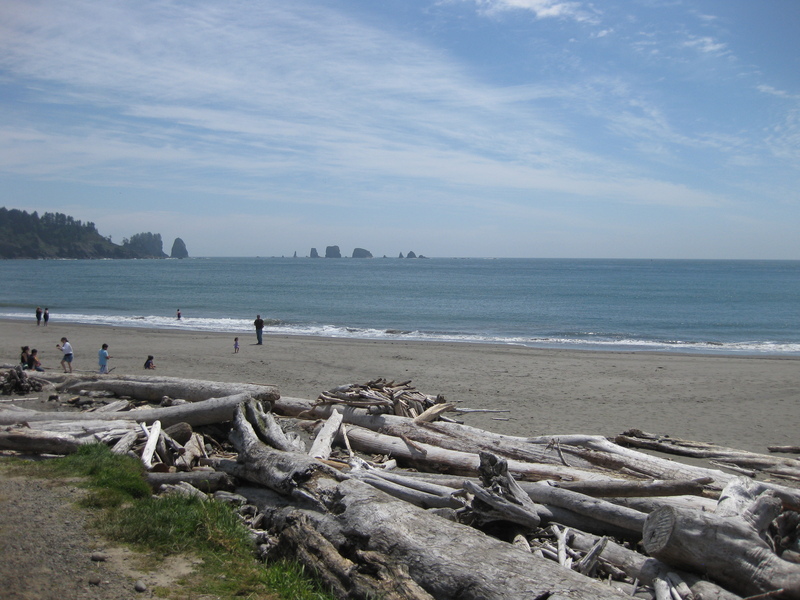 To get the Quileute Word on Wednesdays mailed directly to your inbox, subscribe here. 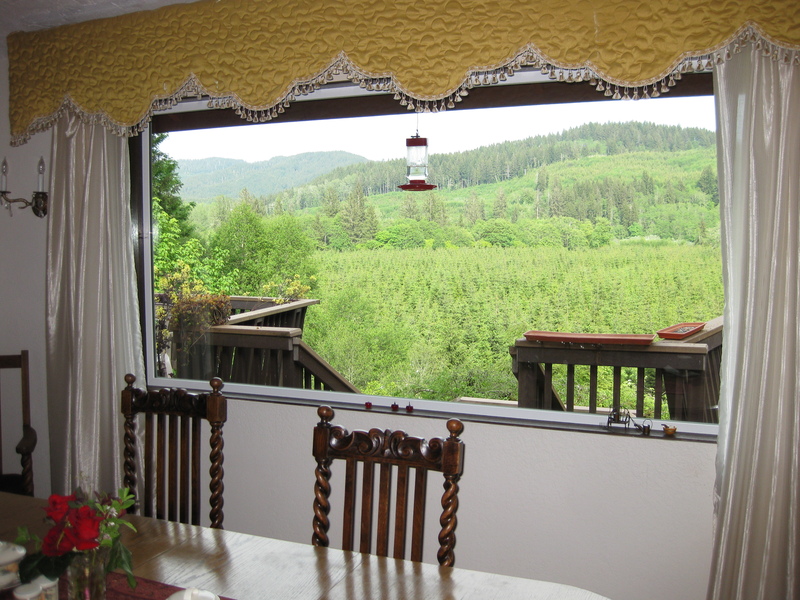 For more information on the Twilight Tours in Forks tour company, check out their website. 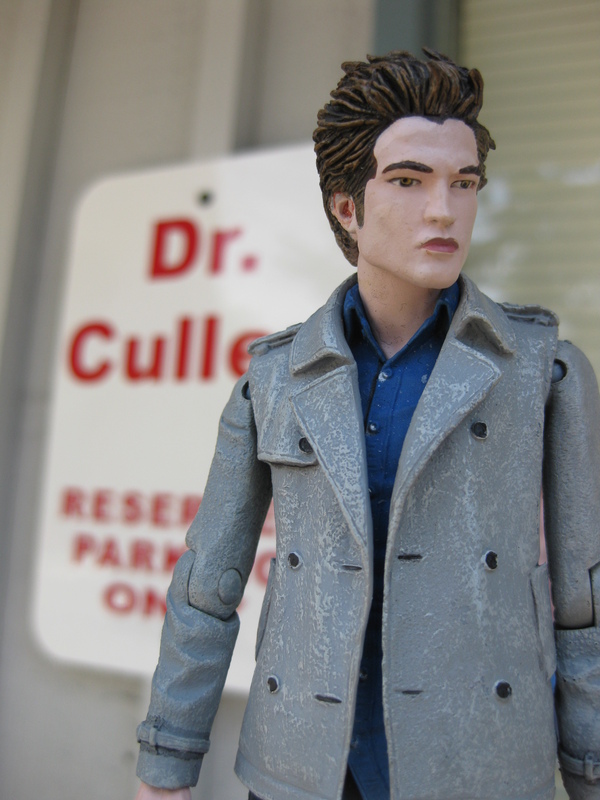 To see my GraveTells writeup about my Twilight Tours experience, go here! 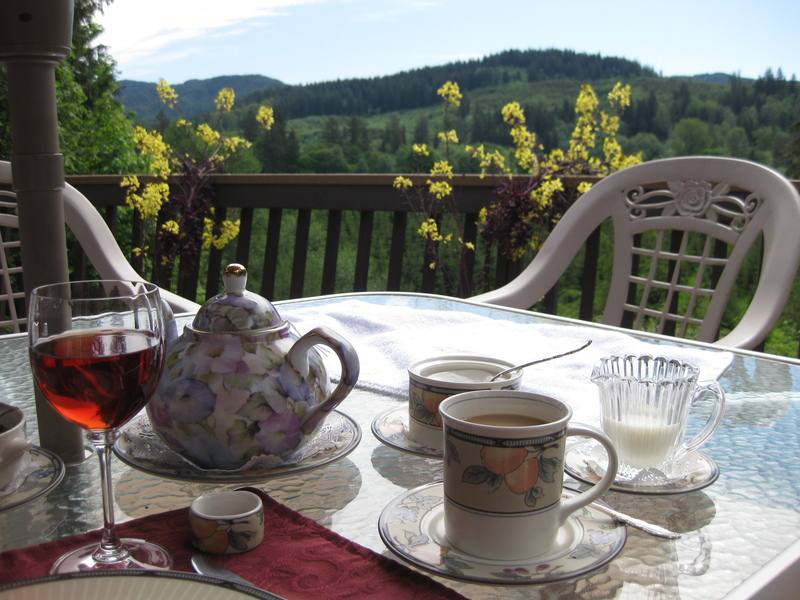 When you think of Forks, WA, assuming you know what a very small and relatively uneventful town it is, the first activity that comes to mind is probably not a paid tour. What can there possibly be to tour? you might ask. I decided to give it a go and see what all the fuss was about. Having seen the Twilight Tours In Forks company on the Twilight In Forks documentary, and after hearing first-hand from some friends what a great experience it was, I signed up my sweetie and me for an afternoon tour and dragged him reluctantly along (with him emphatically announcing to everyone we passed that he was “Team Switzerland”). 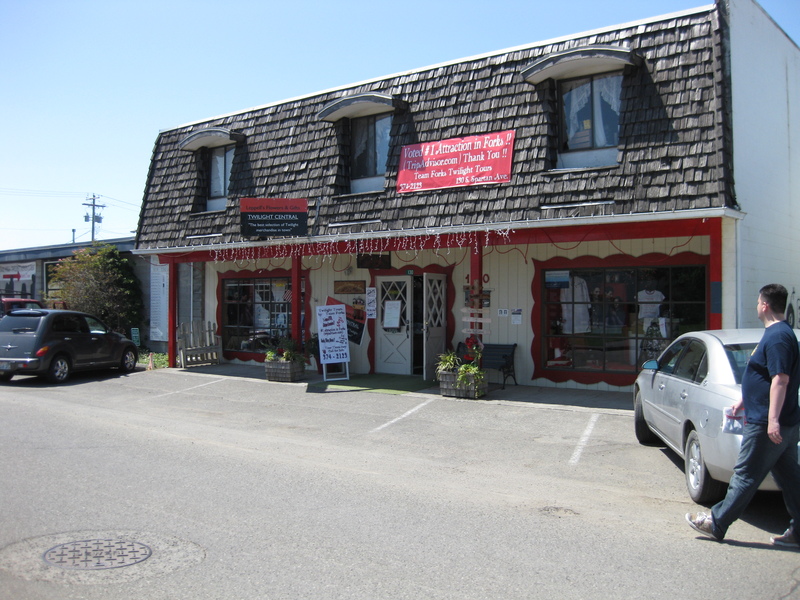 Surprisingly, Twilight Tours (originally owned by the Dazzled By Twilight store), is not the only tour company in the tiny town, although it is the original. 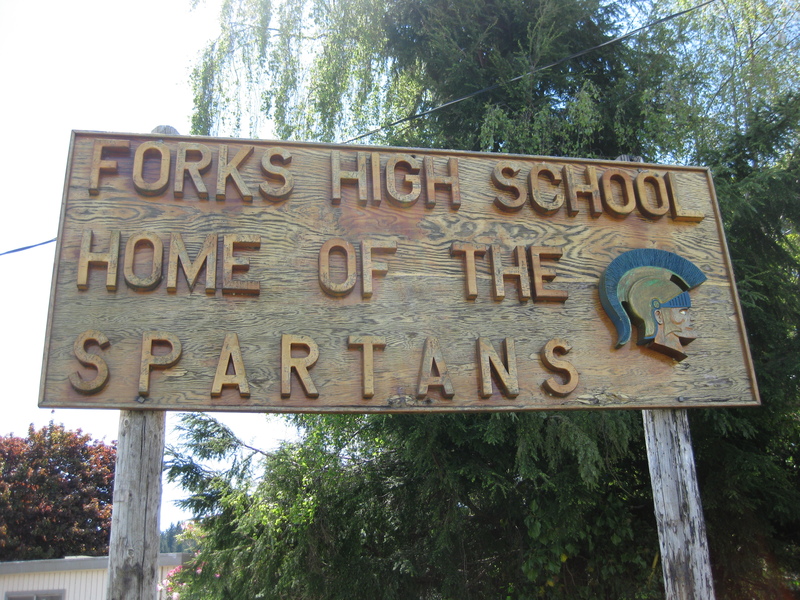 Team Forks, affiliated with Lapelles Flowers & Gifts, runs a very similar tour, with a slightly higher admission fee. 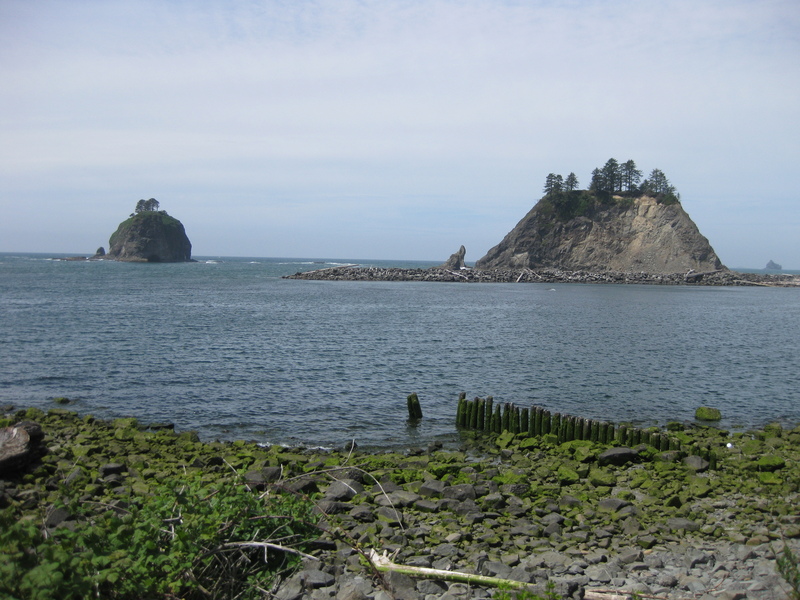 You can browse online for other opinions on the two companies, but since I didn’t take the Team Forks tour, I can only tell you about Twilight Tours, so read on to hear about my adventure in Forks and La Push! 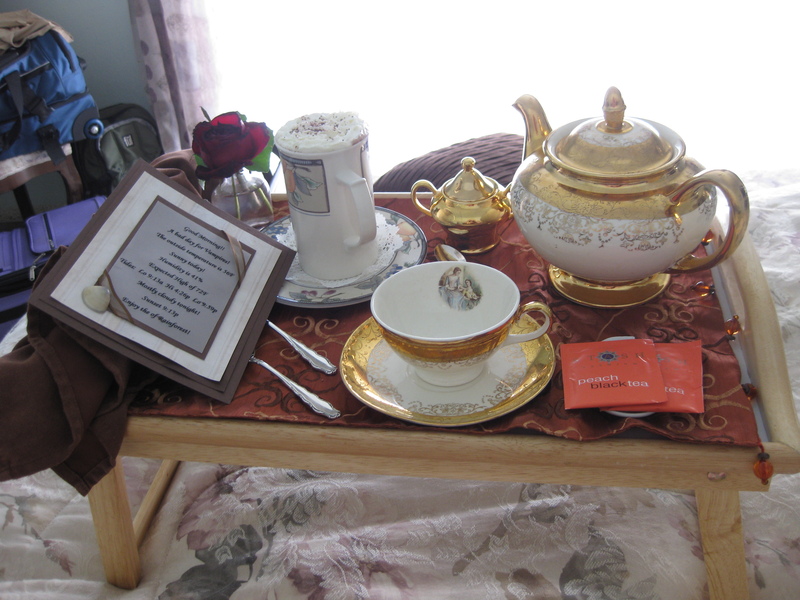 An introduction worthy of fanfare! 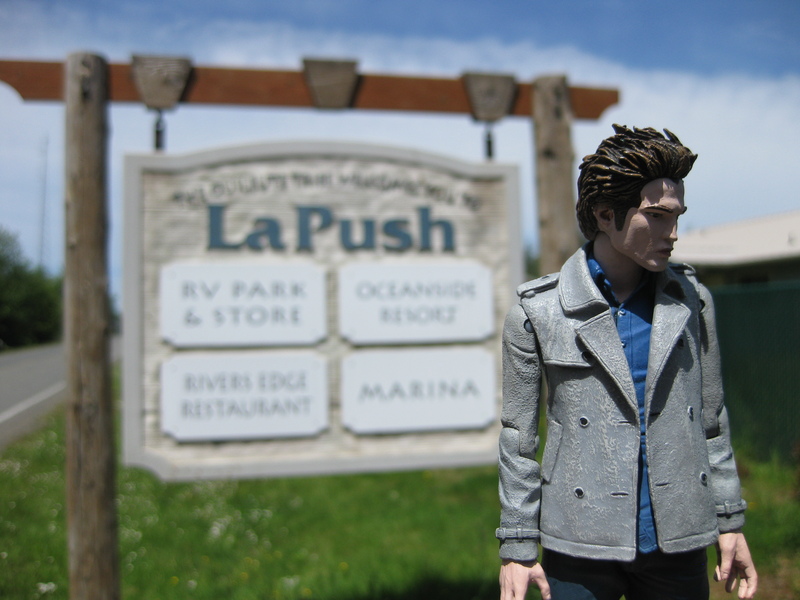 From there, it’s on to La Push! 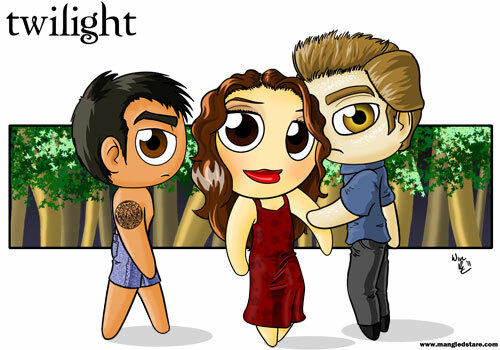 As you’re zipping around in the tour bus, Travis fills the time by quizzing fans with some surprisingly tough Twilight trivia (beef up on The Twilight Saga: The Official Illustrated Guide before you go!) and playing movie-appropriate theme music as you approach the various locations. 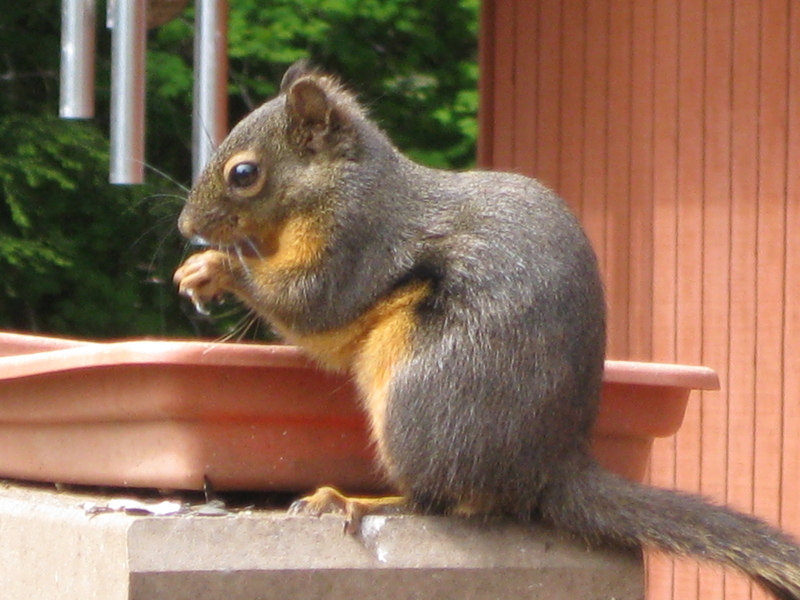 He’s also a student of the Quiluite language and traditions, and teaches you various words and phrases in the native language (pay particular attention to the word for “chipmunk”). 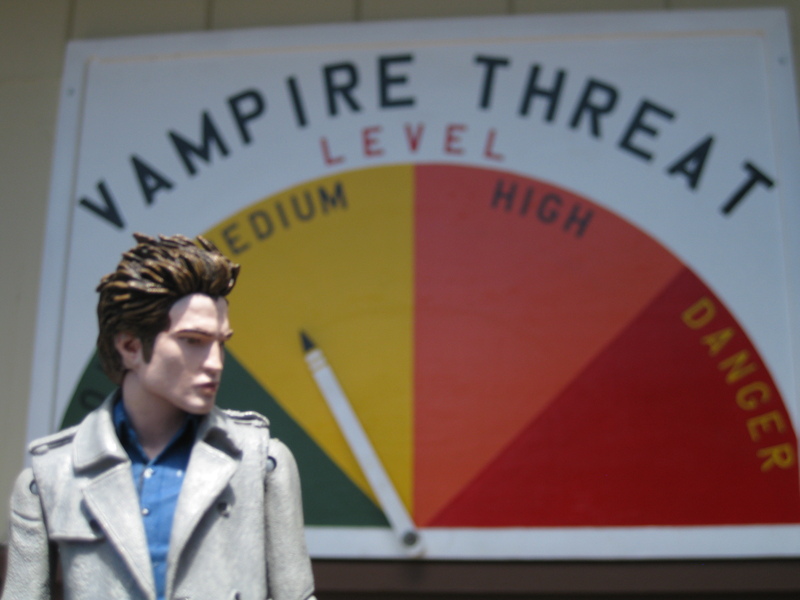 As you enter Quilute territory, of course the first stop is at the Treaty Line, complete with a “Vampire Threat” meter. 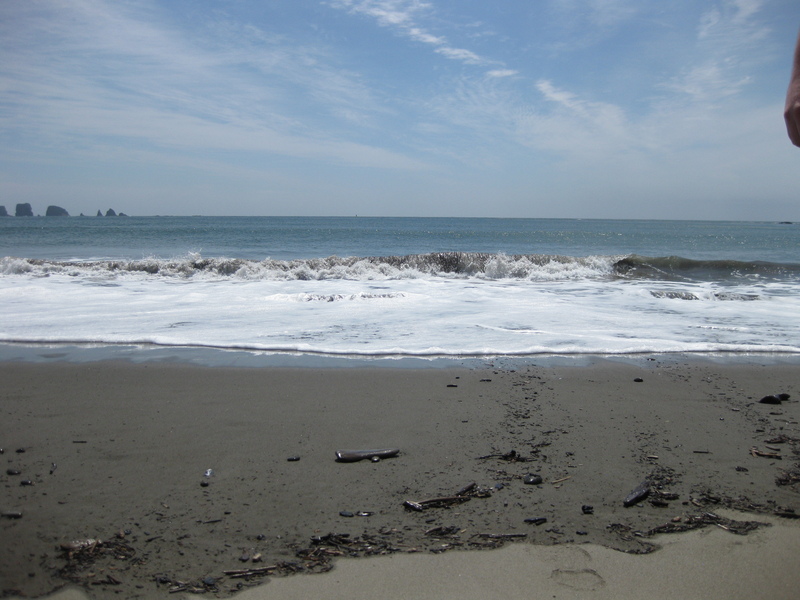 The tour then continues on toward the Black house before stopping at one of the breath-taking rugged beaches. Arnold, our driver for the outing, is a member of the Quilute tribe. He good-naturedly corrected Travis’s pronunciations (few and far between as those mistakes were), and shared his own insight into the Quilute customs and way of life. 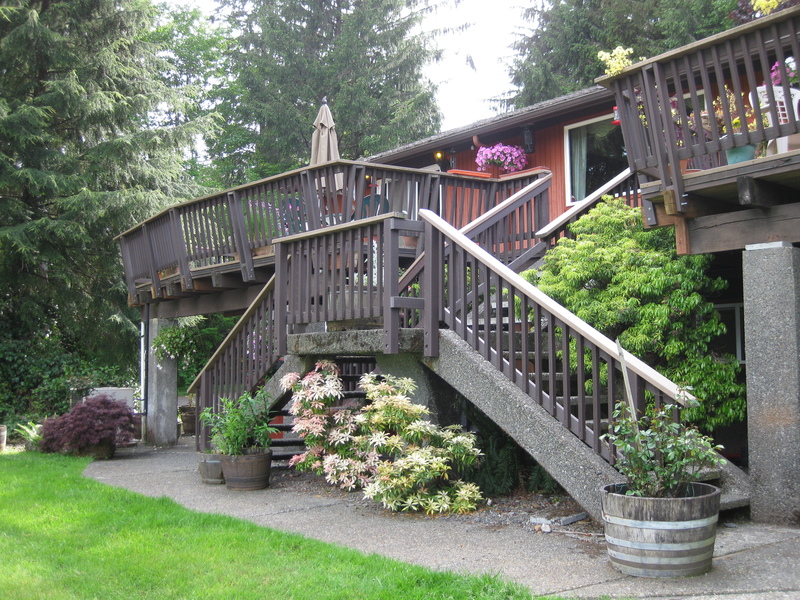 The Quilutes are a private people, so Arnold was careful not to over-share, but his family anecdotes and tidbits of information about various La Push landmarks and activities were insightful and enjoyable, and really added an extra dimension to the experience. One of the things passed on by Arnold during our tour that interested me the most is that the Quilutes open up some of their traditional activities up to travellers. 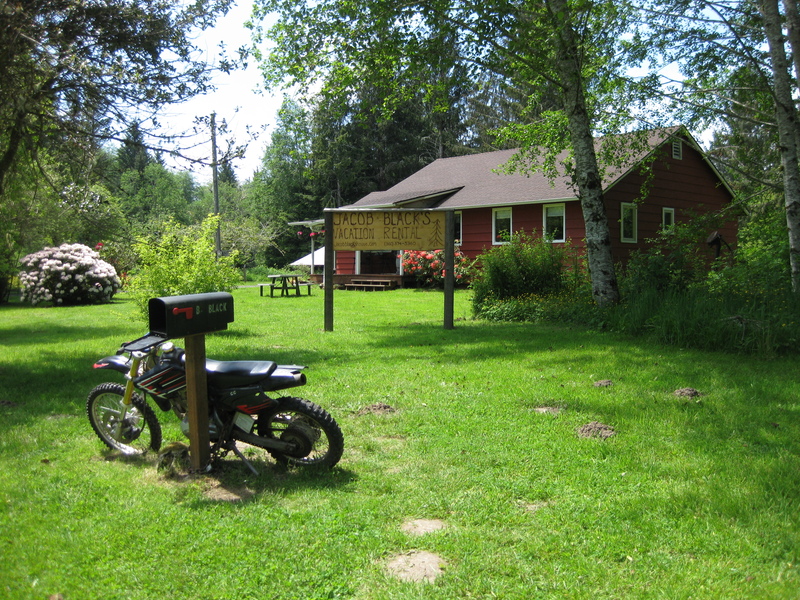 On Wednesdays at around 5:30, the Community Center in La Push opens for a comminity-wide pot luck meal, followed by drum circle (complete with tales!) and dancing. Drum circle starts between 6:00 and 7:00 and there’s no fee to eat or dance, but it would be good form to bring your own dish to contribute to the pot luck if you intend to partake of the food. There are additional activities you may be able to attend during other parts of the year, so ask your tour guide and driver for the most up-to-date info! 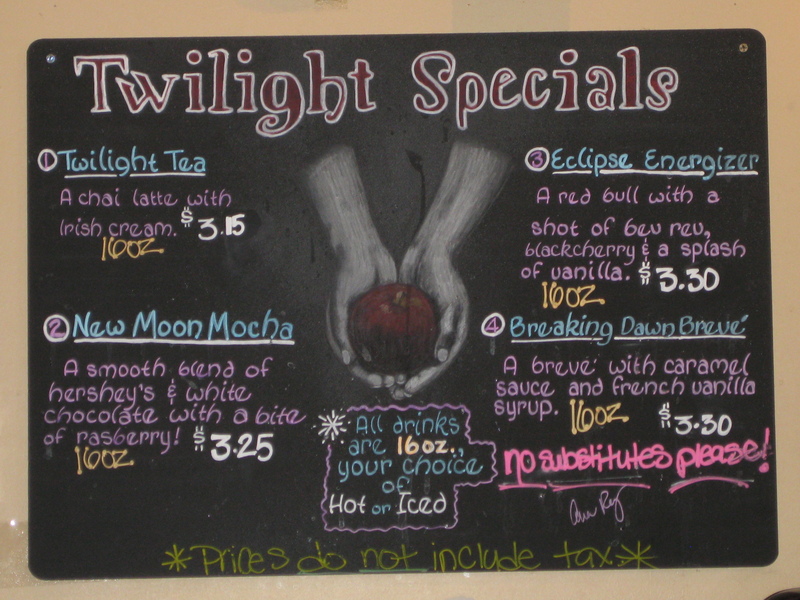 The tour typically lasts between 2.5 and 3 hours, arriving back at the Twilight Tours store for a final shopping stop. Inside the tour depot, you can find a decent selection of shirts, hats, pins, magnets, stickers, and other collectible souvenirs. 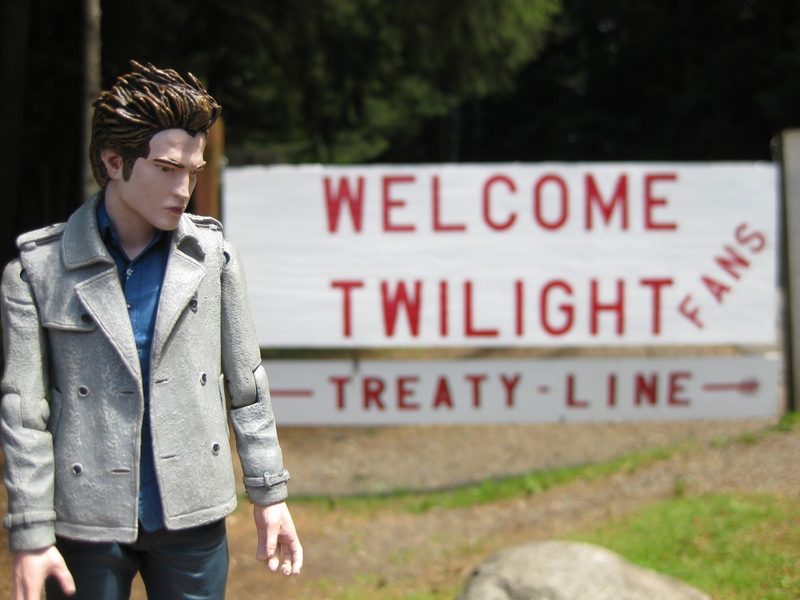 I recommend taking the tour as early as possible in the day, then spending the afternoon strolling the streets of Forks and doing some serious souvenir-ing… but hey, I’m a shopper and I love acquiring new shineys! . 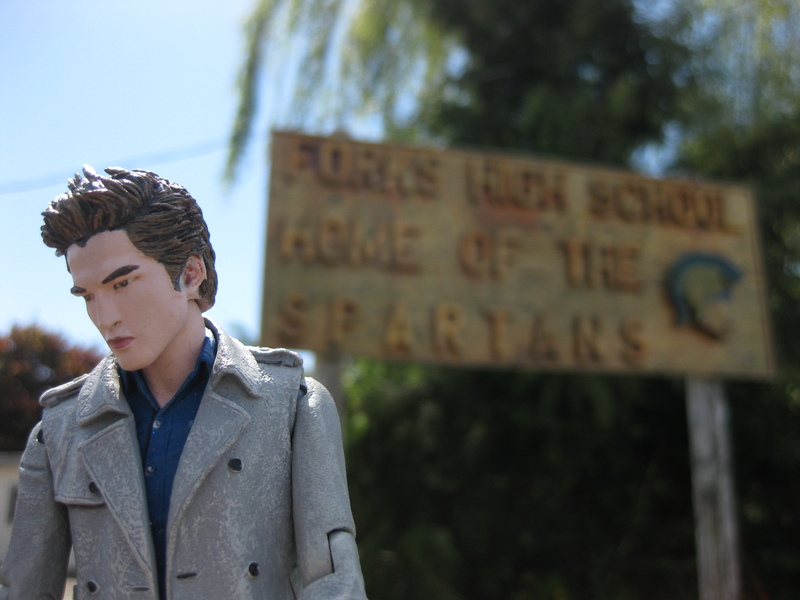 This summer, Twilight Tours In Forks will be doing four separate surprise donation tours. 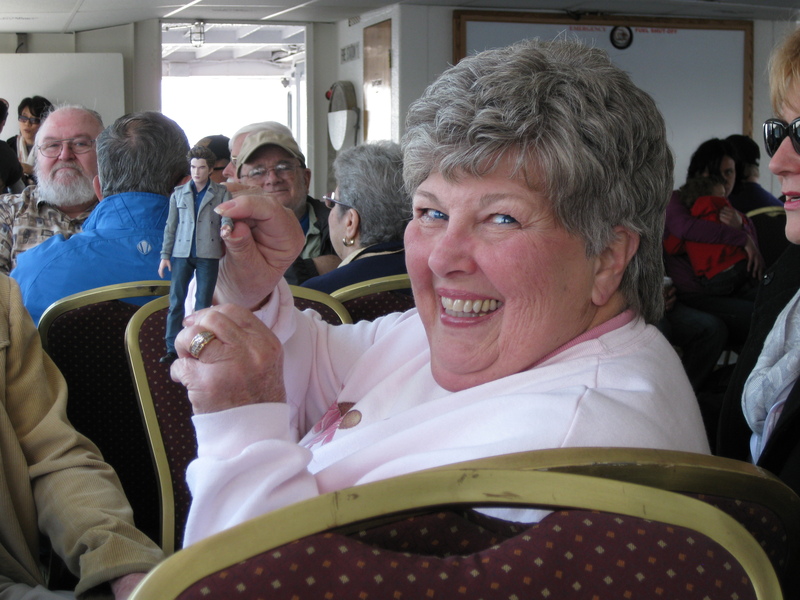 This won’t impact tour attendees, and you probably won’t see much of a change in the program aside from an announcement that you are on one of these special tours, but the benefit to the town will be notable. Travis says all the proceeds from these tours, including admission fees, will go toward previously selected charities or causes around the Forks and La Push areas. Those local businesses and groups wishing to be considered as recipients for the donation tours will submit their entries to Twilight Tours, then a name will be drawn randomly. 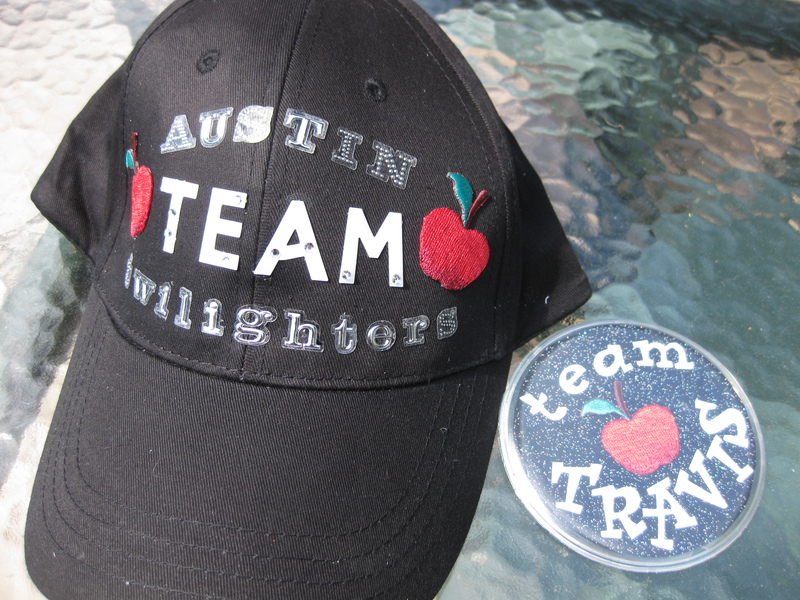 Twilight Tours will spontaneously choose the highest-attendance tours in order to raise as much money as possible. Imagine stepping on the bus for your fangirl time, only to learn you’re secretly funding a local charity! Very exciting, and an admirable gesture by Twilight Tours. 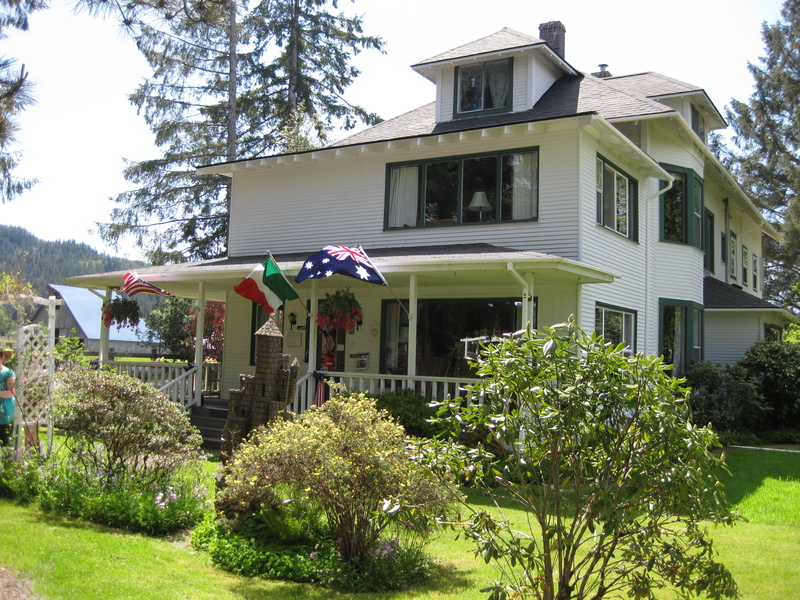 Twilight Tours In Forks circulates a monthly newsletter called “What Happens in Forks…”, giving readers insight into current happenings in and around town, as well as special coverage of Stephanie Meyer day. They also distribute Quilute Word on Wednesdays (QWoW), a weekly email containing a single English word followed by its closest Quilute translation. 25% of all subscription fees collected from the newsletter and QWoW will be donated to the Quilute Nation in an effort to help them retain their traditions and heritage. 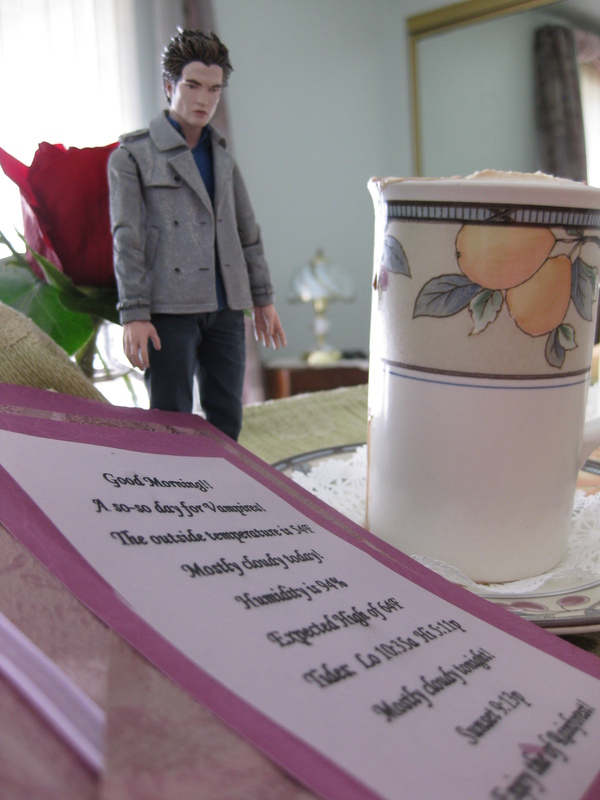 I’ve been subscribed to QWoW since I discovered it, inspired by the beautiful words Jacob spoke to Bella at the end of the movie New Moon, and Twilight Tours has graciously agreed to allow me to publish one of their words each month for free. Keep an eye out for the first one, scheduled tentatively for next week! 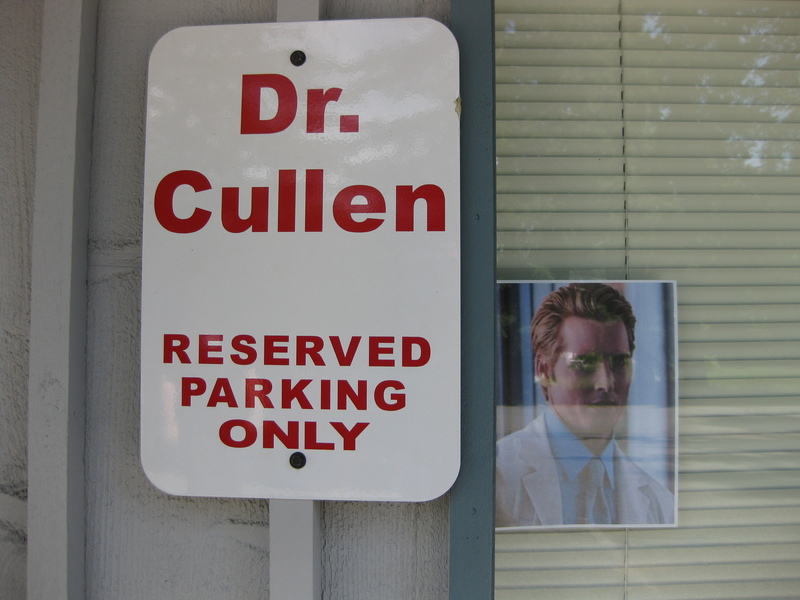 Don’t wait for me though – head over to the Twilight Tours website and sign yourself up for the newsletter, QWoW, or a combination of the two, and get your own slice of Forks delivered directly to your inbox! For my guide on where to eat, shop, and explore in Forks (as well as pick up some awesome souvenirs! 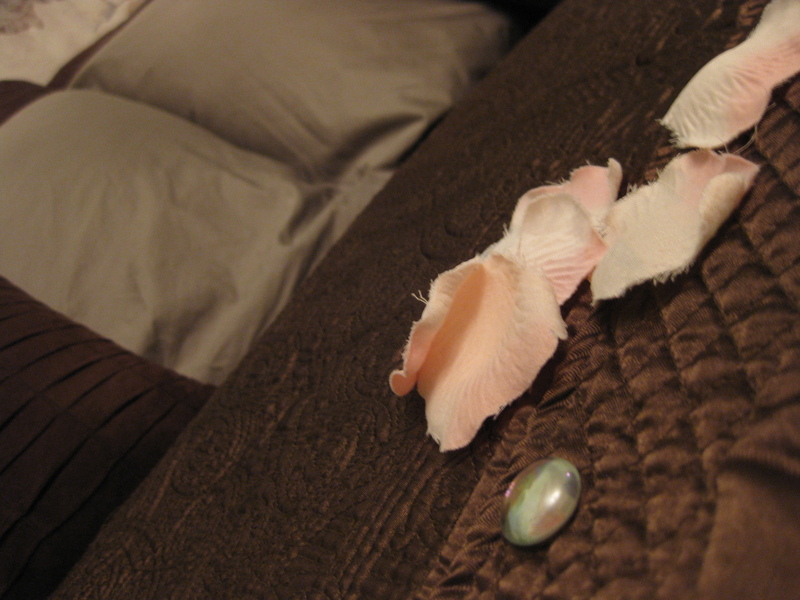 ), check out yesterday’s post! 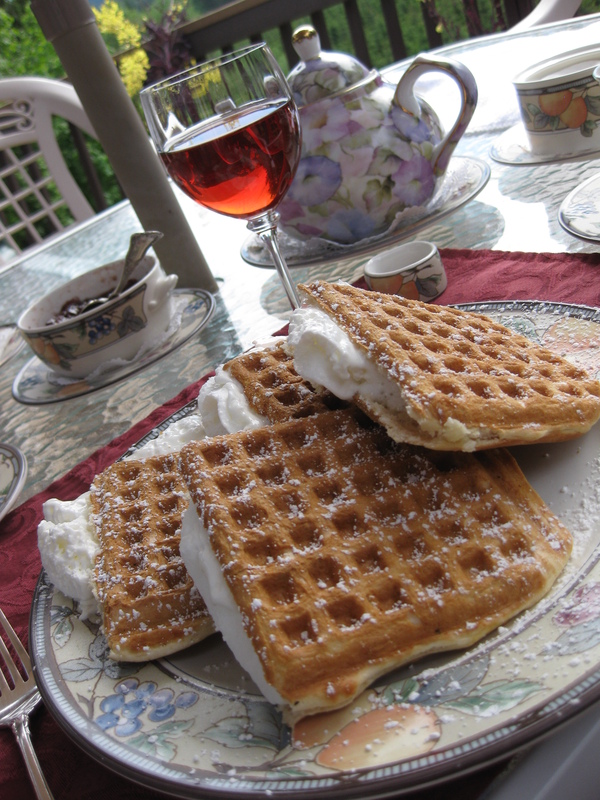 Forks Week: What to see, where to shop & eat! Ok, let’s be honest with ourselves for a minute. 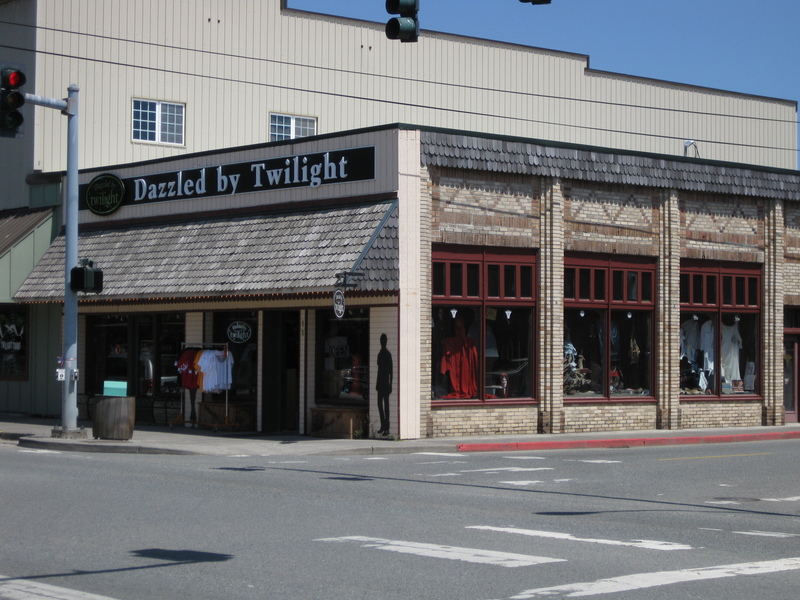 If you’re a Twilight fan, even if you don’t consider yourself a “Twihard”, you’ve probably considered visiting the tiny town of Forks, WA. Maybe it was a wistful “Oh, what a lovely area. 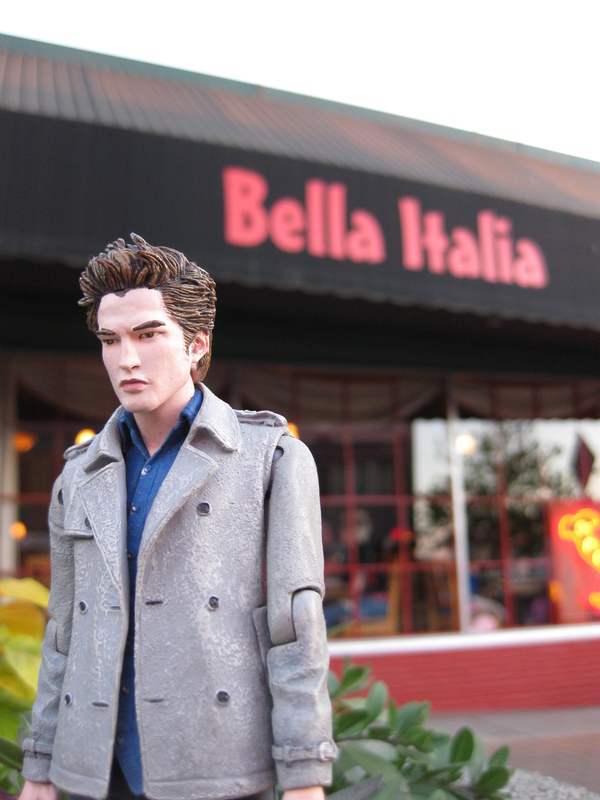 I’d like to see those beaches!” or maybe it was more “OMG I MUST go see where Bella and Jacob and the Cullens live, THEN I want to buy tons of awesome fangirl stuff!” Somewhere in between? 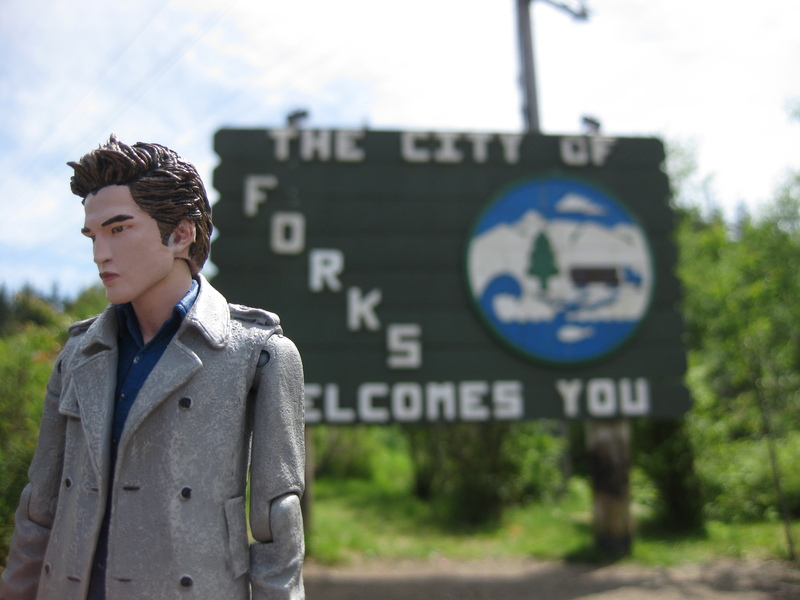 *wink* Well, this IS Forks week, and I just got back from a two week Pacific Northwest vacation, so of course I took a few days to visit the famed town! 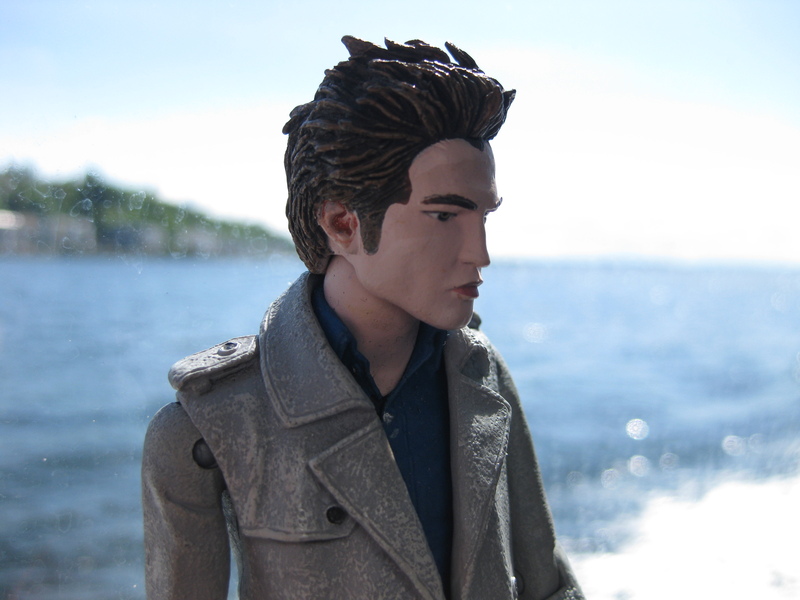 If you missed Pocket Edward’s photo-journal, look at yesterday’s post and check out his awesome trip photos! 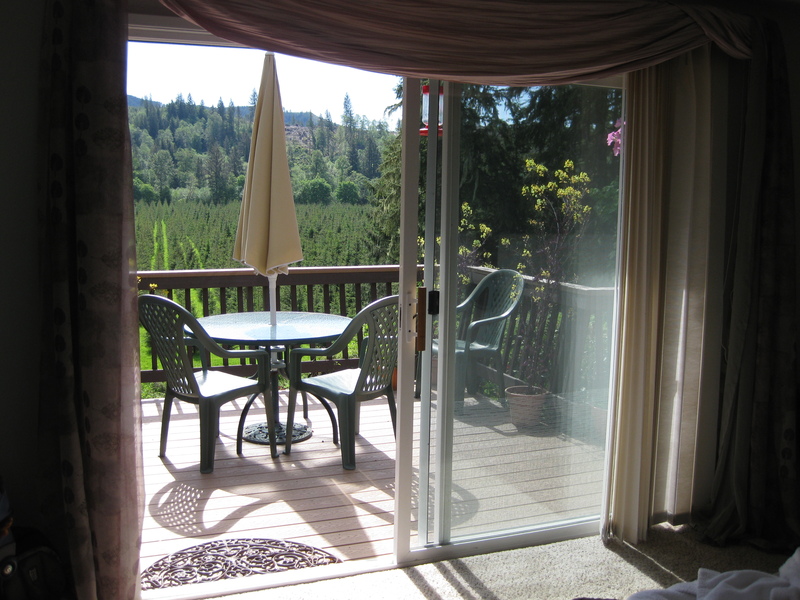 The rest of the week will also be lots of fun, with a look inside Twilight Tours, a review of the Misty Valley Inn Bed and Breakfast, and Edward’s own take on Port Angeles’ Bella Italia restaurant. Today is all about the money! 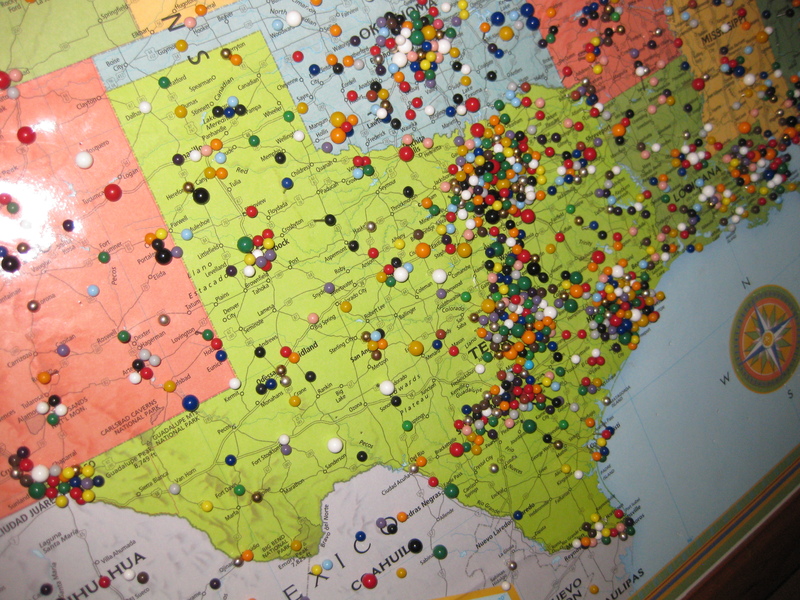 Where can I spend it on attractions, souvenirs, and food?! 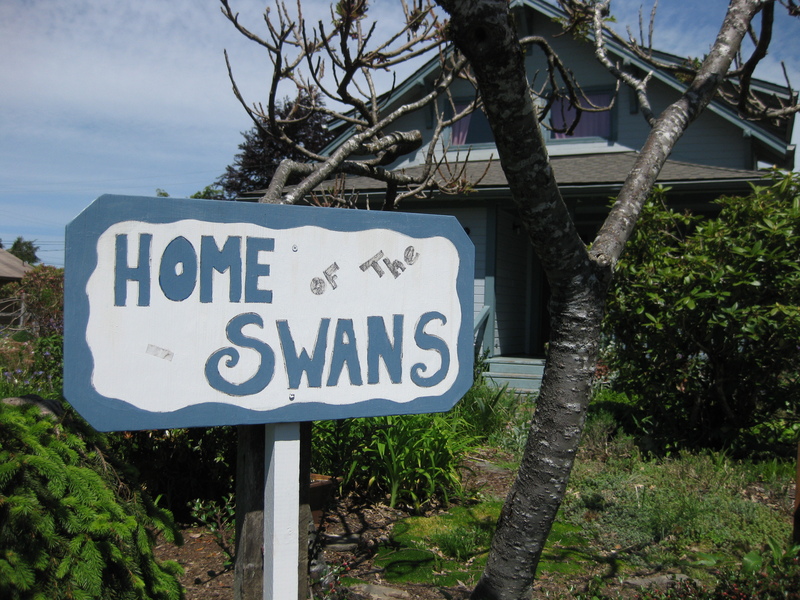 Every Twilight fan on a pilgrimage to Forks, should visit the Chamber of Commerce. Not only can you see (and take pictures with!) 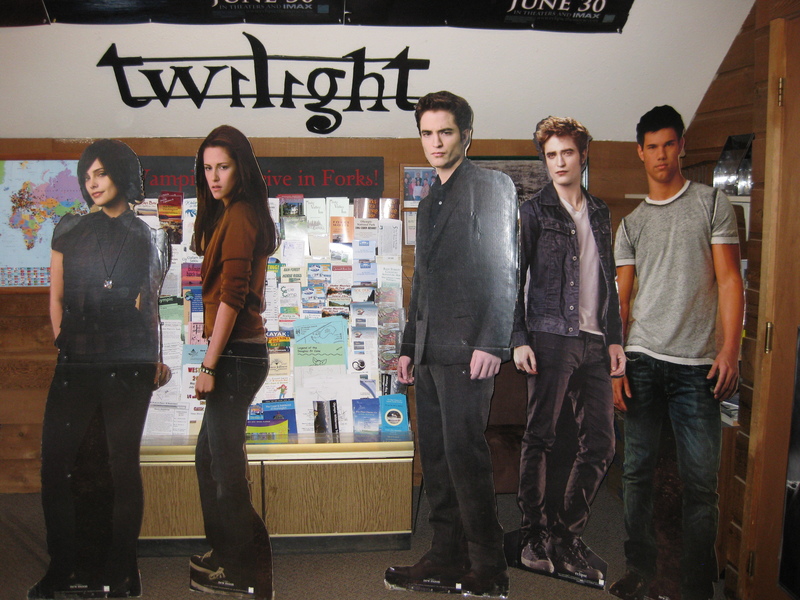 Bella’s trucks (the model from the books and the model from the movies), you can also pose with life-size cardboard cutouts of our favorite characters and see for yourself and just how much rain Forks actually gets each year via the outdoor rain gauge. 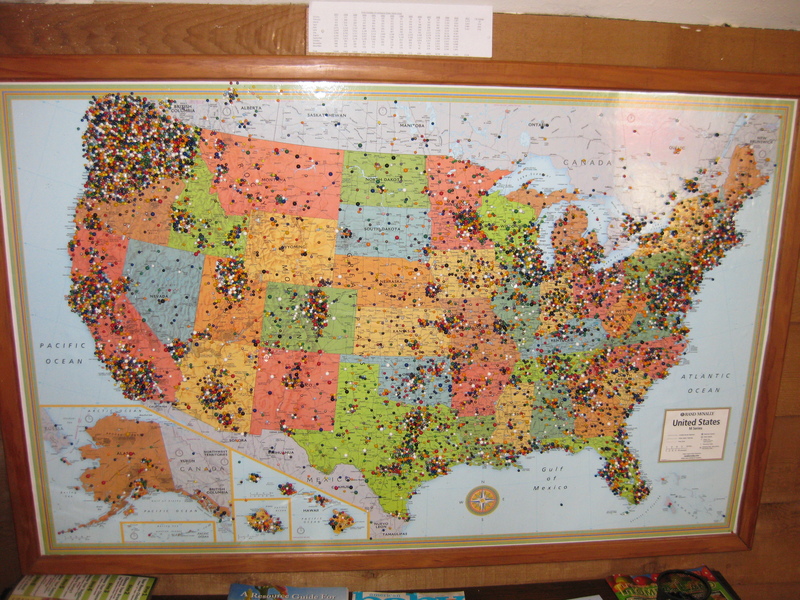 Don’t forget to put a pin in the map representing your home city, then marvel and just how much tourism Twilight has brought to Forks in the last few years. 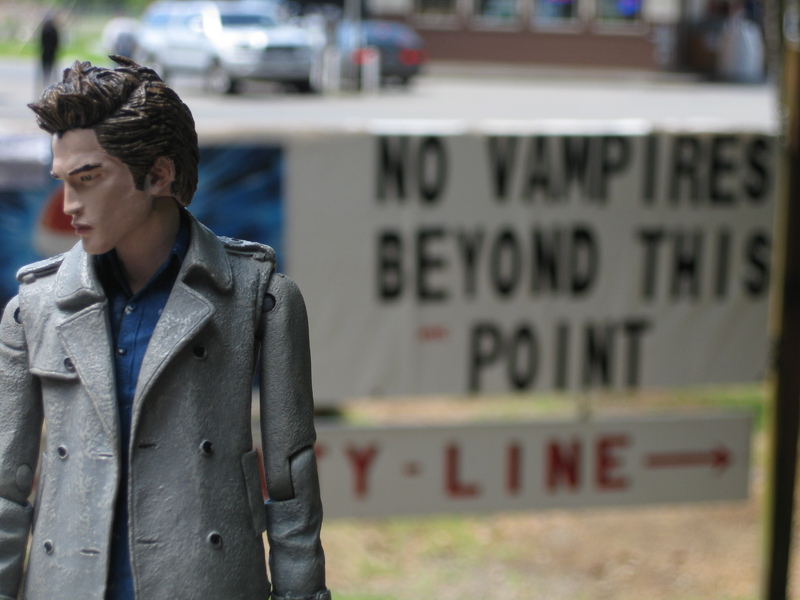 Shopping in Forks really is a must. 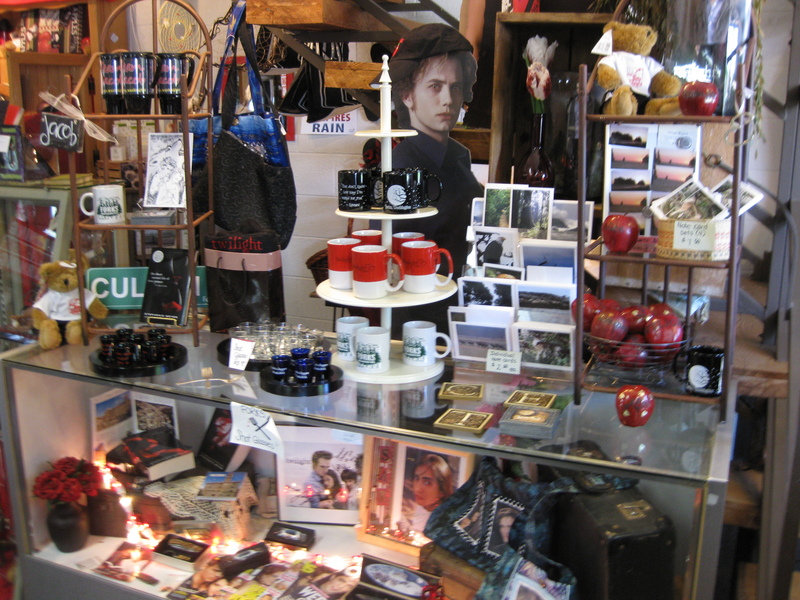 Nearly all the stores in town carry some sort of Twilight paraphernalia, and some of them offer one-of-a-kind handmade items (by locals) and unique commercial merchandise. Tops on my list for commercial items is Dazzled By Twilight. 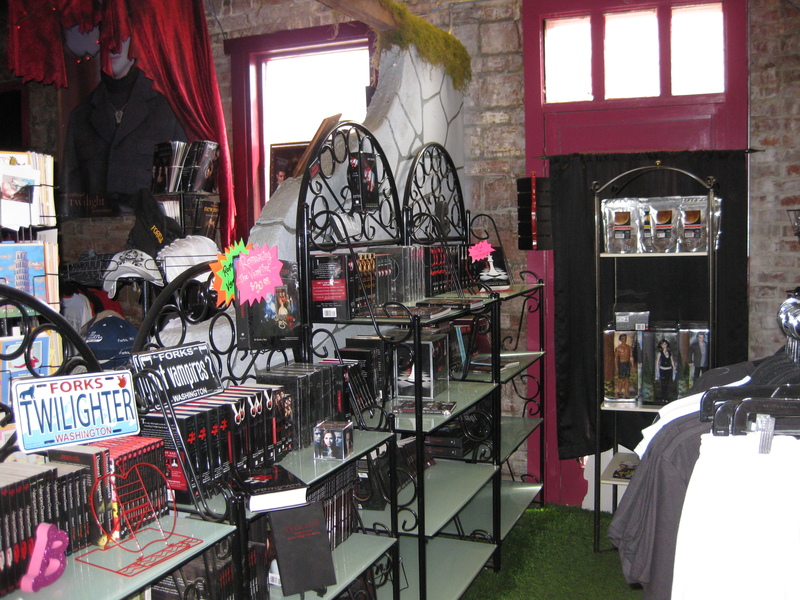 This is the mega-store for all things vampire and paranormal (including True Blood & The Vampire Diaries), and it even includes an “adult” section in a secluded black lit room. 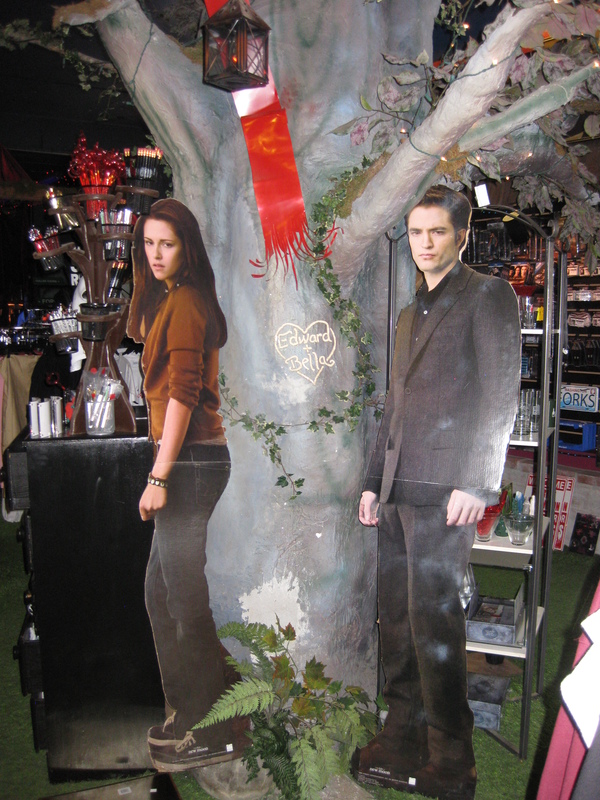 The decor is unsurpassed, better than some of the popular trendy shops I’ve seen in larger cities with its “grass” turf floor, tree and foliage decor, and the Twilight flavor just shimmering off its shelves. From “Bite me!” boy briefs to Cullen baseball jerseys, Dazzled has a selection large enough to satisfy even the most demanding of fans. 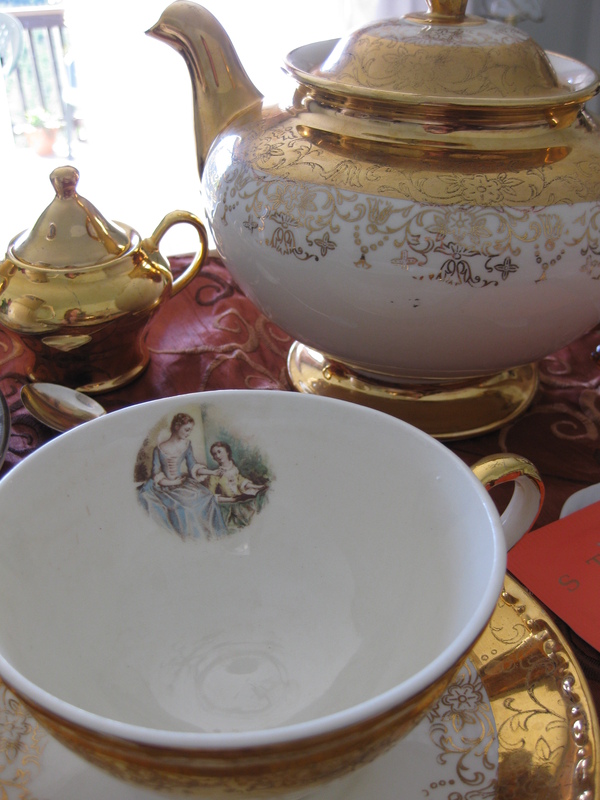 For personalized souvinirs and scrapbooking gems, you can’t beat Lapelles Flowers and Gifts. 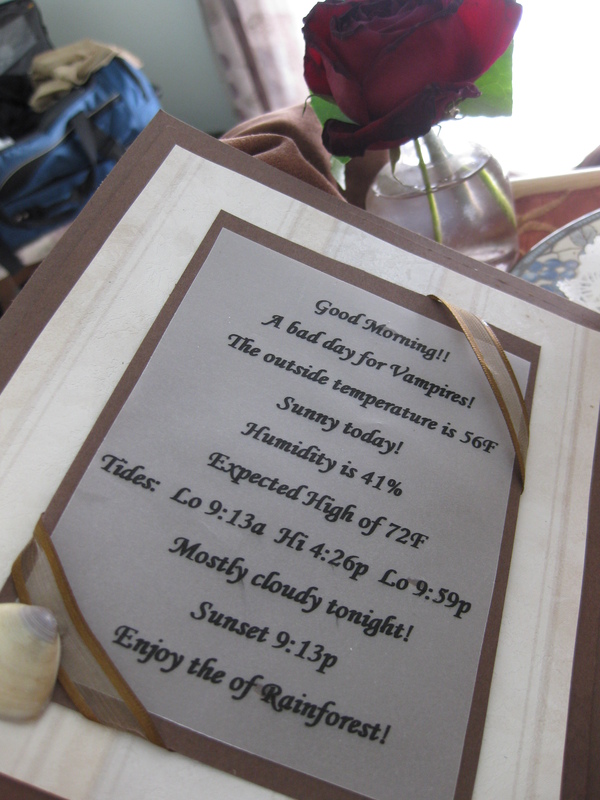 This unassuming little flower shop will surprise you with its large selection of vampire-inspired (and Twilight-specific) papers, stickers, and kits (all of which takes up roughly half the merchandise space! 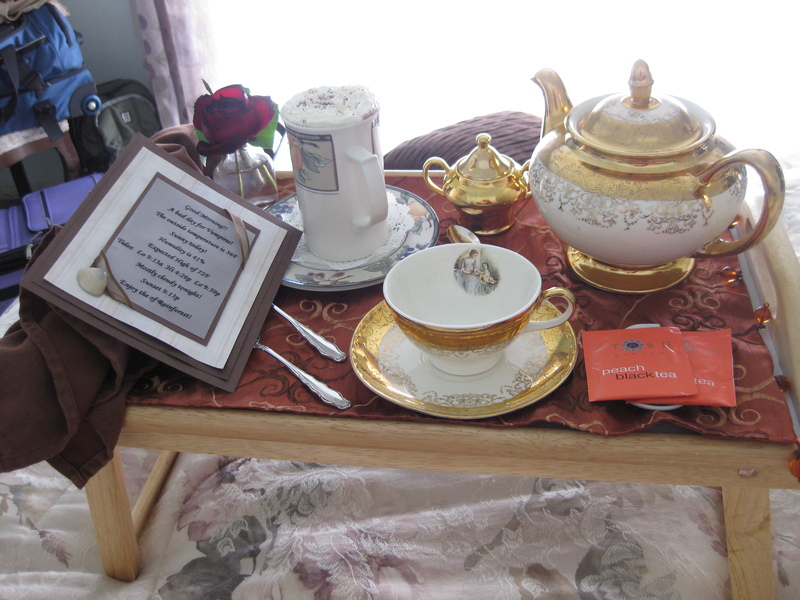 ), and it still has a great selection of charming gifts, including a few items that can be personalized while you wait. Don’t forget t-shirts and caps! Lapelles has those too, as well as some super-cute knit “Cullen” beanies and, my personal favorite souvinir from the entire trip, a personalized glittery apple. 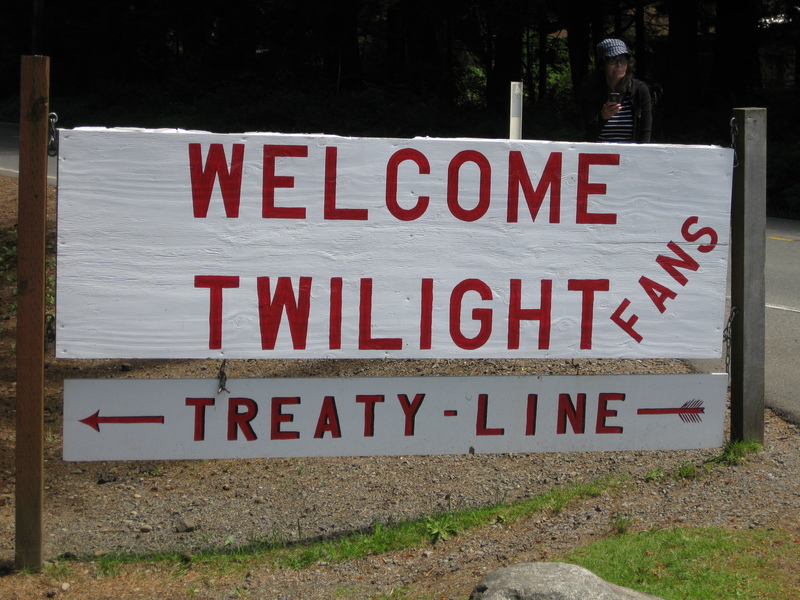 If you’re more interested in the native culture in Forks and the Twilight Saga, definitely visit Native To Twilight. 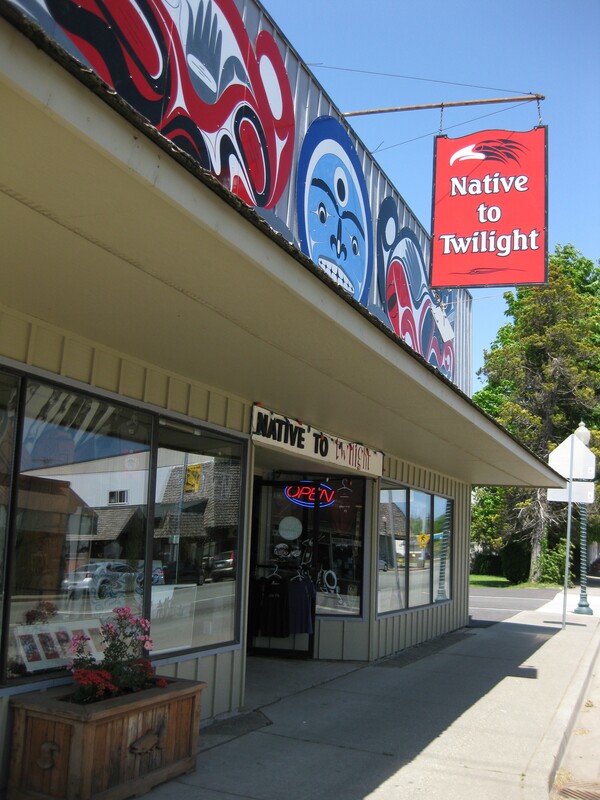 Offering a wide selection of Quilluite-inspired home decorations such as carvings, jewelry, and wall & window hangings, Native To Twilight also carries handmade cards made by local artists. 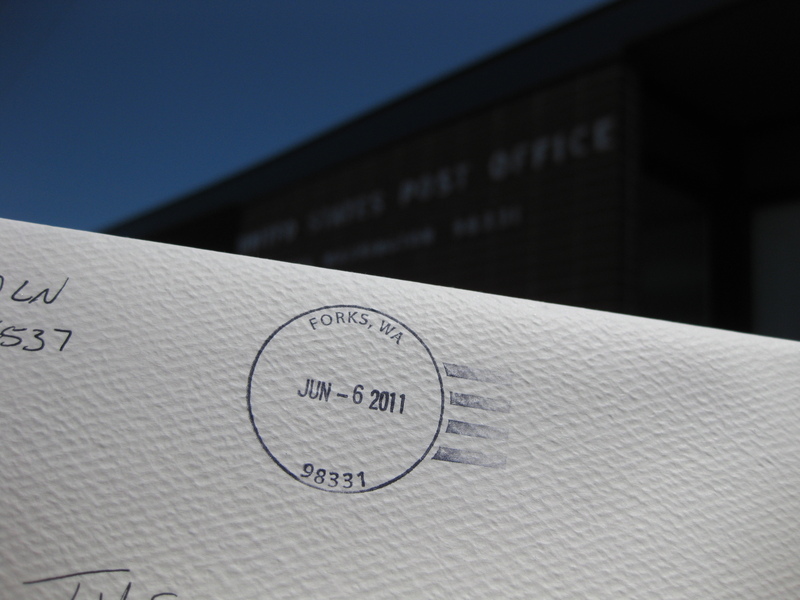 Get yourself one of these, then take it to the Post Office and ask for a “cancel stamp” (it’s free – you don’t have to actually mail it, just ask to have your item stamped). Voila, your very own one-of-a-kind keepsake with indisputable Forks provenance! Save up some money ($14-$20 per plate ish), make your reservation (they fill up fast, so don’t wait til the day of! 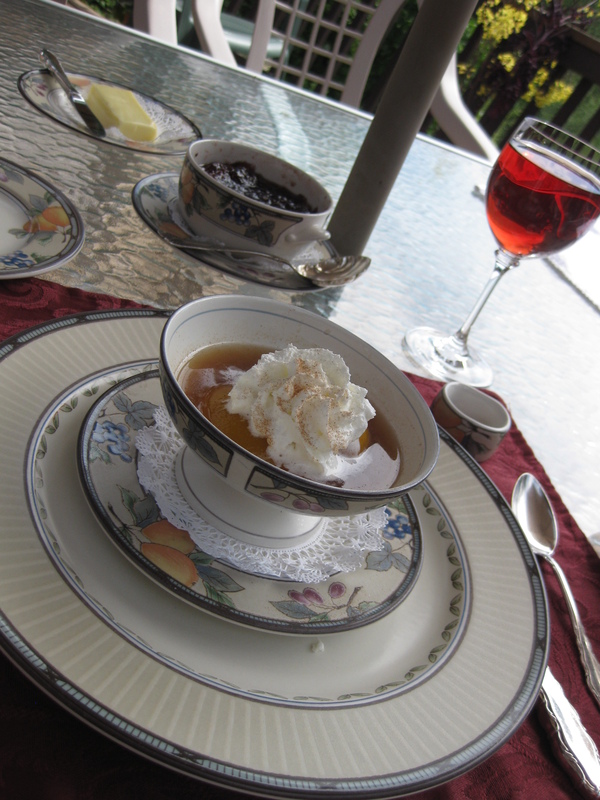 ), make the drive, and sit down to one of the best restaurant Italian meals you’ll find outside of Italy itself! 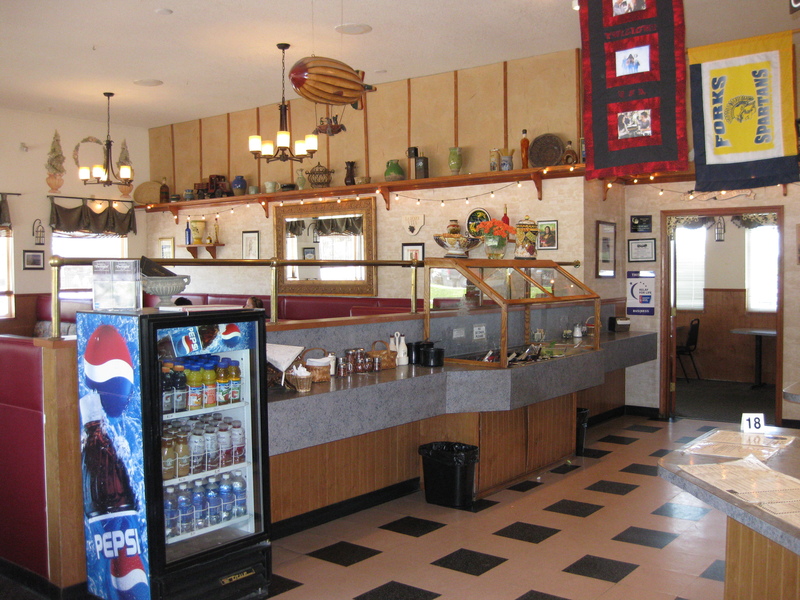 For fast food with quality ingredients and a clean atmosphere, visit Pacific Pizza! I’m what I like to call a “pizza connoisseur”. That’s fancy-schmancy for “I eat a lot of pizza and can’t seem to get enough”. 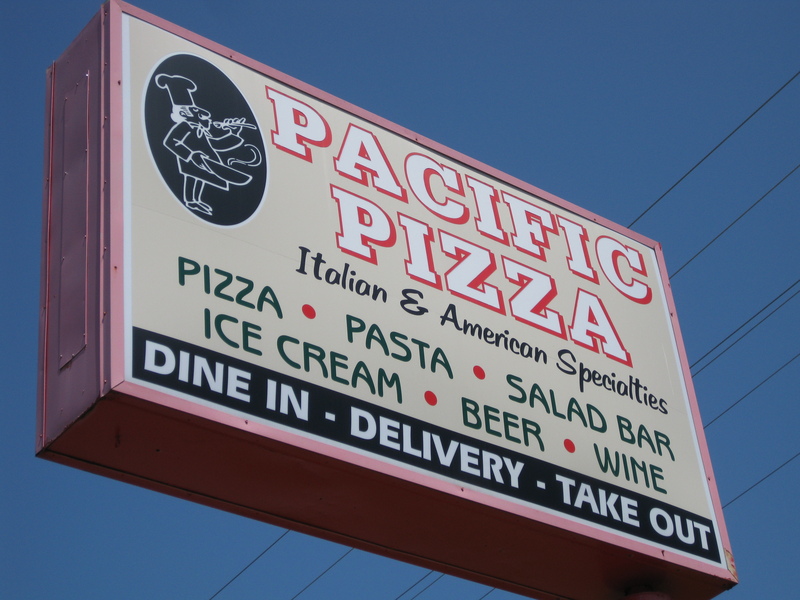 I’ve tasted a lot of bad pizza and I’m a little ashamed to admit that I expected Pacific Pizza to be disappointing. 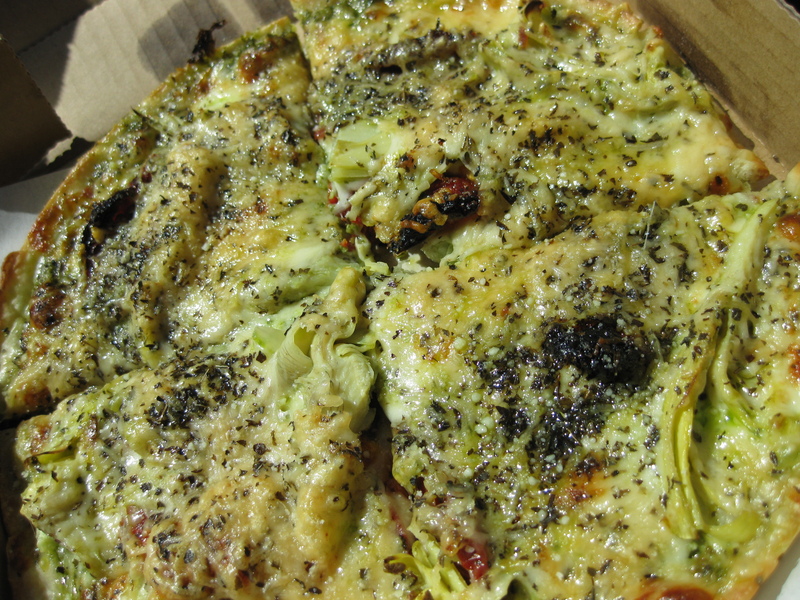 Well, I certainly don’t mind being wrong about a fabulous new pizza place! This joint was, to borrow from Rachel Ray, YUM-O! The menu is surprisingly sophisticated, with a selection of sandwiches and paninis in addition to their standard and gourmet pizzas, and the dining area was quaintly decorated and cleanly kept. 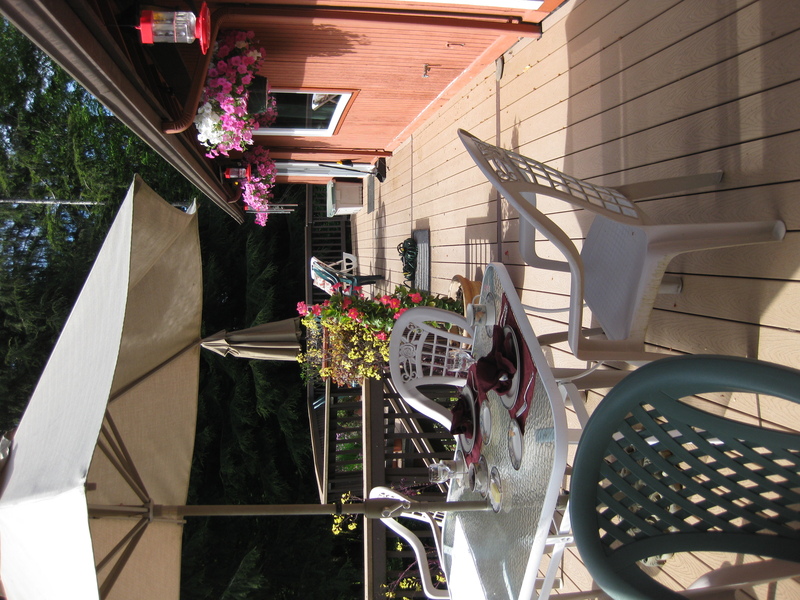 The service was also warm and friendly, which sadly was not the overwhelmingly typical experience for me in Forks. Minimally friendly, yes. Southern-hospitality-style welcoming, no. 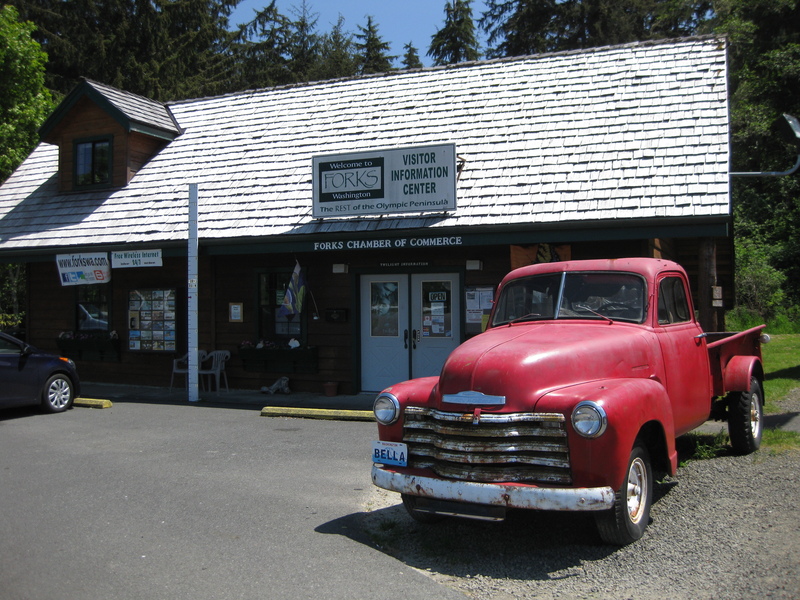 For yummy, fresh sandwiches and sweet coffee confections, head over to Forks Outfitters! 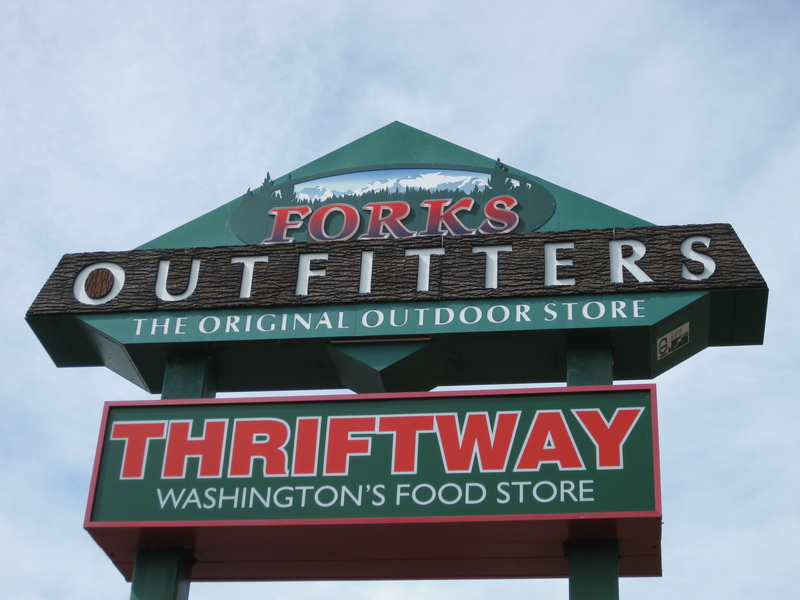 Yep, I said Forks Outfitters. Outwardly, this building looks like a Safeway meets Academy meets Home Depo, with a coffee shop attached. Honestly speaking, it’s not really a welcoming facade, and I probably wouldn’t have stopped in here to check for food if I hadn’t been a) really hungry and b) jonzing for a London Fog. *grin* Luckily for me (and now all of you! 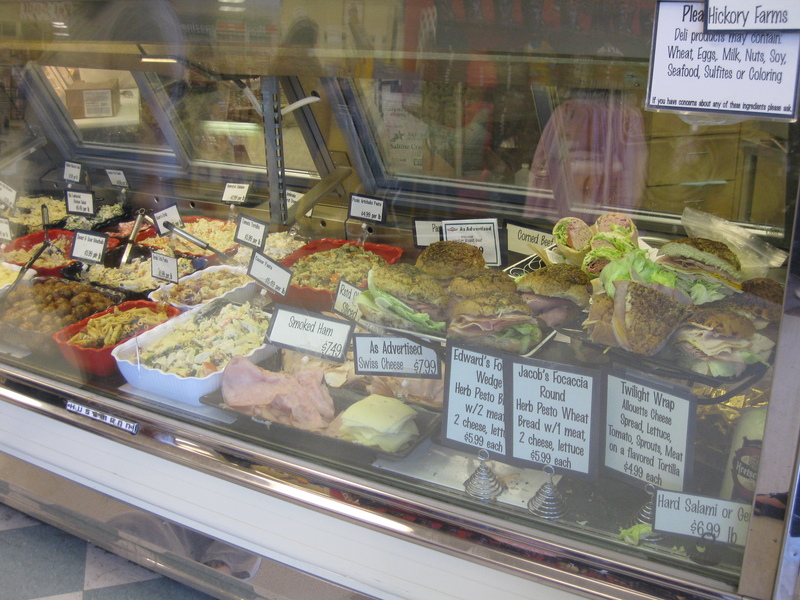 ), we took a chance and had the deli make us fresh sandwiches. As simple as that sounds (“fresh” sandwiches), I should point out that the deli has a decent selection of pre-made sammies and other cooked foods such as pasta, eggrolls, and meats. When we asked for a freshly made sandwich, we were repeatedly pointed toward the pre-mades and warned about the size limitation (they apparently won’ t make a half-sized-sandwich fresh, only whole ones) and the extra cost of additional meats and cheeses ($1 each). After about a 5 minute discussion and explanation, we finally had our sandwiches started. 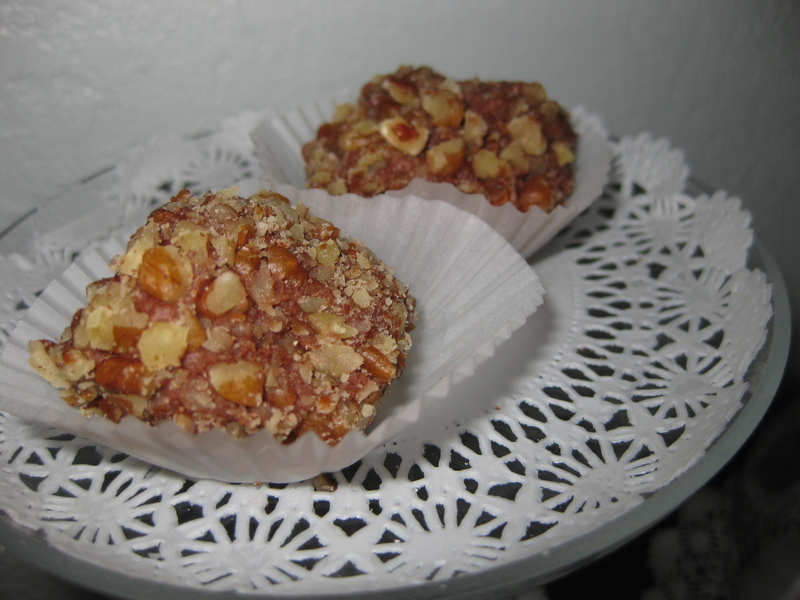 It took a while to make them (I’m thinking most people probably just cave and buy the pre-made ones, which probably taste great too! 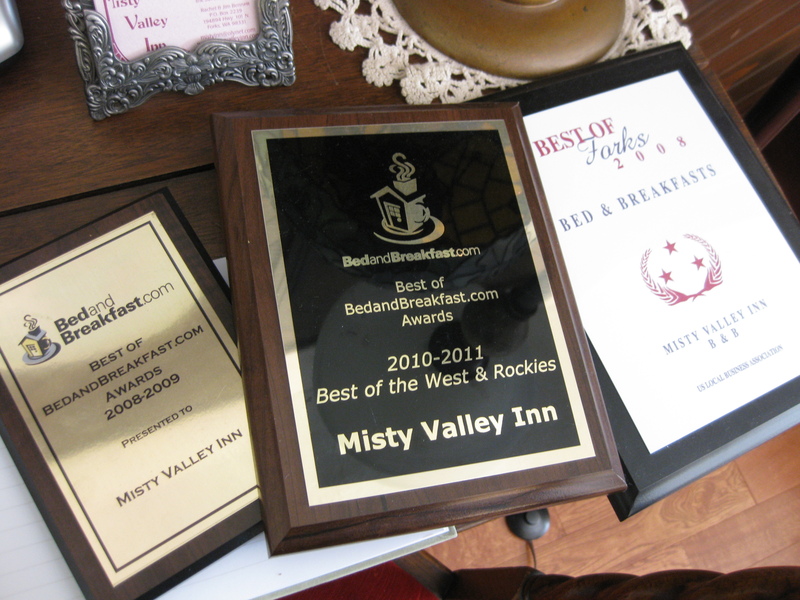 ), but when we finally got them back to the B&B, the wait was COMPLETELY worth it! Long story short? Go to Forks Outfitters and insist on a freshly made deli sandwich, then hit up the cute little coffee shop and get yourself a London Fog or a Mocha. Best sandwich and coffee I had all trip! 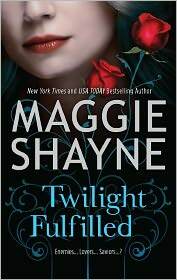 Helloooooo fellow vampire lovers and faithful Gravetells readers! I know it’s been a while since my last update, and I try to keep up at least semi-regular postings, so where the heck have I been?! 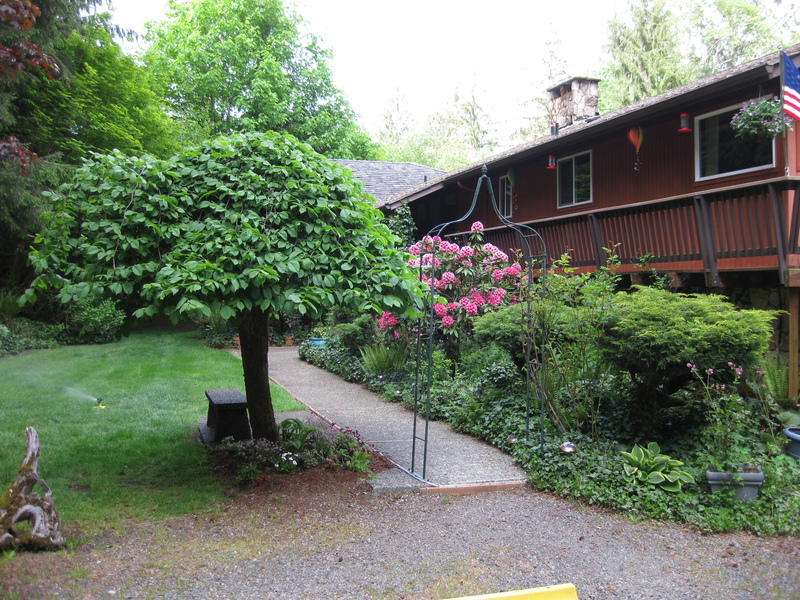 My husband and I just returned from a 2 week Pacific Northwest blitz vacation, where my sweetie gracriously agreed to spend a whole 3 tedious (for him, hah!) 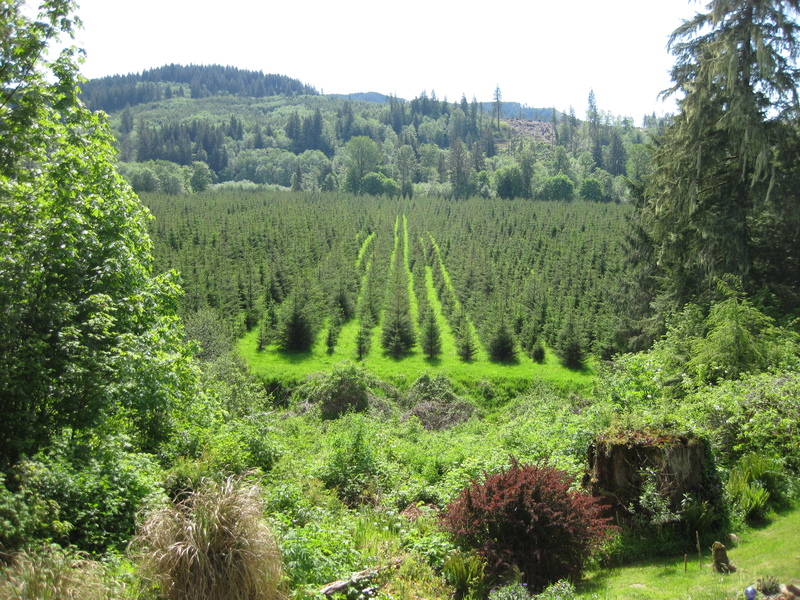 days in Forks and Port Angeles. I know, how awesome is he?! 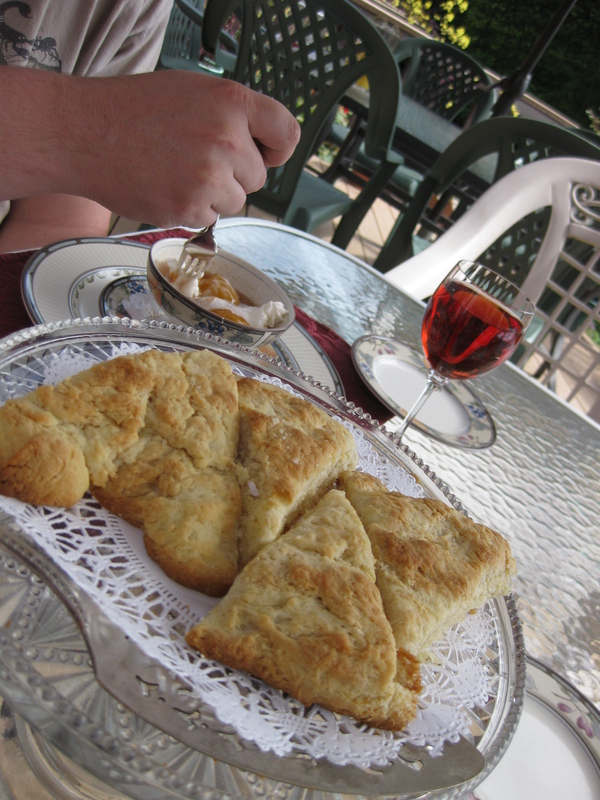 Tuesday: Forks – What to see, where to eat, & where to shop!